Supercars teams and drivers will descend on Sydney next February for a two-pronged start to the 2018 season. Plans for a season launch to be held in the city on February 15 are currently being formulated, with a test at Sydney Motorsport Park to take place the following day. The move will bring together the two events, which this year had a season launch in Adelaide on February 8 and the Sydney test run on the 21st. As was the case this year, the Sydney Motorsport Park hit-out will enable teams a full day of running on the category’s latest tyre before the first race at the Adelaide 500. The 2018 tyre, to be signed off by the Supercars Commission next week, is expected to be a close variant of the 2016 construction Dunlops. As was the case this year, the Sydney test will be non-compulsory, but will count towards each team’s allocation of three days for the season regardless of attendance. Confirming the launch and test plan, Supercars CEO James Warburton said the category has been working closely with Dunlop on the revised tyre for 2018. “Dunlop continues to be an outstanding Supercars partner and has played a big part in making the championship as close as it’s ever been,” he said. “Migrating the 2016 tyre and technology with small upgrades into 2018 will ensure a fantastic season ahead. “The teams are keen to rationalise their test days and come together at Sydney Motorsport Park to understand the tyre, like they did this year. The 2016 tyre was pressed into service for the high-load Bathurst and Pukekohe events in recent months following a spate of early-season failures with the new 2017 construction. Next year’s championship will begin with the Adelaide 500 on March 1-4. 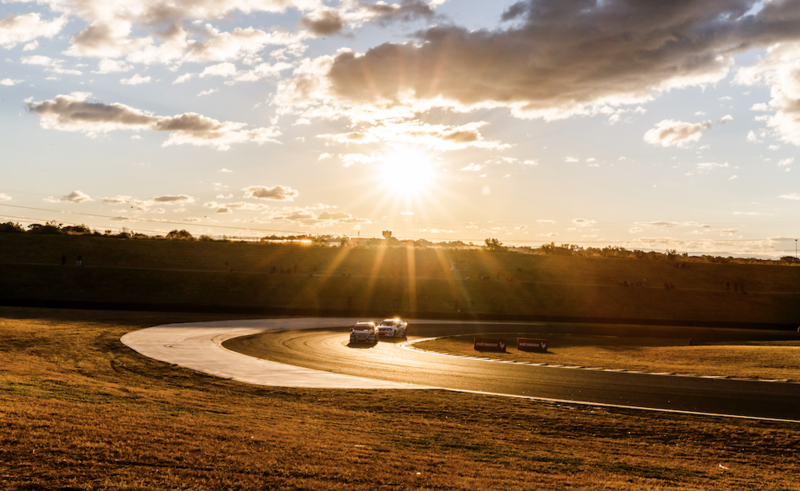 The pre-season test means Sydney Motorsport Park will again host Supercars twice in 2018, with August to feature the debut of the new SuperNight format under lights.